Injuries to elbow are common in childhood, which include fracture of medial epicondyle may or may not be associated with dislocation. These kind of injuries may be managed conservatively or surgically explored. The ulnar nerve is at risk for injury due to its susceptible position behind medial epicondyle which could be due to the direct impact of acute injury, iatrogenic during surgical management or delayed injury due to malunion with varus or valgus deformity. Tardy ulnar nerve palsy has been reported years after initial injury but usually associated with deformity around elbow joint which leads to the stretching of nerve and eventually palsy. The incidence of tardy ulnar nerve injury without any valgus or varus deformity following nonunited medial epicondyle fracture is rare. We report one such case presenting with tardy ulnar palsy following a fracture 30 years back. A 48 year old male patient, who works in an office by profession, presented with complaints of tingling and numbness over left little and ring finger for 1 month. He gave a history of injury around left elbow 30 years back which was managed conservatively. The symptoms are gradually progressive in nature. On examination, there was diminished sensation along ulnar nerve distribution in hand, wasting of hypothenar muscles, positive Froment's sign and Jeanne's sign, no gross varus or valgus deformity, no tenderness over pisiform, or hook of hamate. There was marked wasting of the first dorsal interossei. He was clinically diagnosed to have Grade II compressive ulnar neuropathy according to Mc Gowan classification. Nerve conduction studies reveal decreased compound muscle action potential and conduction velocity in motor nerve conduction test and absent sensory nerve action potential in the sensory conduction of the left ulnar nerve suggestive of sensory and motor left ulnar neuropathy. Magnetic resonance imaging (MRI) of brachial plexus revealed chronic fracture with pseudoarthrosis of medial epicondyle of the humerus with osteophytes, ulnar nerve compression within cubital tunnel with edematous changes proximal to compression [Figure 1] and [Figure 2]. The patient underwent surgical exploration revealed neuroma in continuity (NIC) [Figure 3] of the ulnar nerve. He underwent neurolysis and adhesiolysis of neuroma [Figure 4]. He had significant improvement in following the surgery. The ulnar nerve is the second-most common nerve entrapped in upper limb after median nerve. It can be entrapped anywhere in the five potential sites, 10 cm proximal to elbow to 5 cm distal to elbow. Of these, the cubital tunnel is the most common site of entrapment of ulnar nerve. Causes of ulnar entrapment neuropathy include old fractures around the elbow, arthritis, cyst of elbow, congenital anomalies, adhesion, and recurrent dislocation of the elbow. The susceptibility of ulnar nerve to get injured at the time of elbow trauma or surgery is high which can later manifest as tardy ulnar nerve palsy due to varus or valgus deformity and post injury/surgery compressive neuropathy. Ulnar nerve is at risk where it re-enters the soft tissues between the heads of flexor carpi ulnaris. The ulnar nerve may be further compressed by scarring in damaged tissue due to trauma. These patients later present as tardy ulnar nerve palsy following medial epicondyle fractures. Literature related to the incidence of tardy ulnar nerve palsy following nonunited medial epicondyle fracture without varus or valgus deformity is scarce and is a rare case. The abnormal tension in the course of ulnar nerve with repeated trauma during movement leads to tension neuritis and intraneural fibrosis leading to neuroma formation and entrapment. Pathologically, any nerve that is lacerated, avulsed, or traumatized may form a NIC which usually involves all degrees of nerve injury, from normal to neurotmesis, and coexisting within a scarred nerve. Amidst of degenerative and regenerative changes to nerve, the proximal and distal nerve fibers at the site of injury may fail to oppose and thereby lead to NIC formation. NICs may be of two types pathologically: spindle neuromas with intact perineurium or lateral neuromas that occur after partial disruption of the perineurium and after nerve repairs. Clinical features of ulnar neuropathy include numbness and paresthesia in the areas of ulnar nerve distribution, pain radiating both proximal and/or distal, elbow flexion test positive, Wartenberg's sign-inability to adduct the little finger intrinsic muscle wasting is indicative of chronic compression. The onset of symptoms may be delayed even after 30 years following trauma as in index case. Severe weakness will reveal clawing of the ring and little fingers positive Froment's sign and Positive Jeanne's sign. 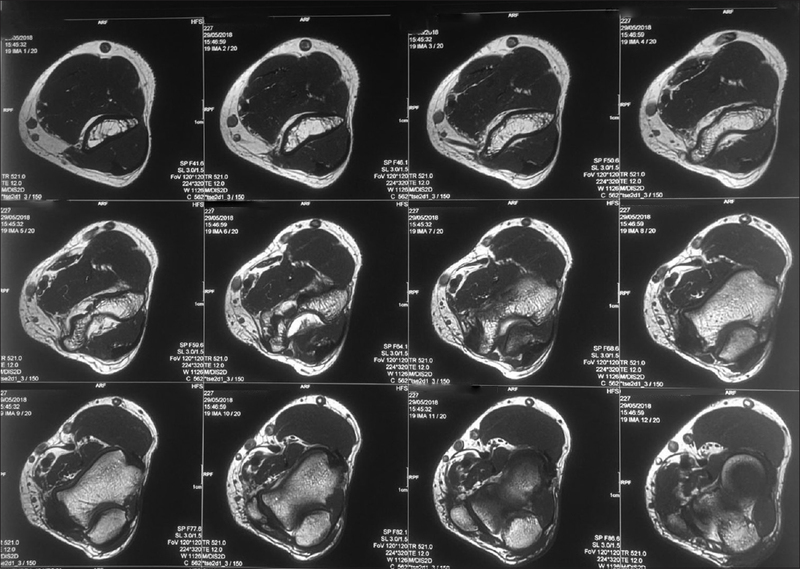 The diagnostic investigations include plain X-ray of elbow with medial epicondyle profile, nerve conduction studies which may help to localize the site of lesion, MRI of brachial plexus to rule out radiculopathy, Pancoast tumors, and other differential diagnosis. The management of such cases may be conservative or operative, including simple decompression or anterior transposition. Simple decompression is a very adequate surgical procedure in cases of ulnar nerve compression at the elbow. However, anterior intramuscular transposition provides the best outcome for patients with the highest McGowan grade, whereas simple decompression and anterior submuscular transposition provide the second best option. When choosing one or another treatment, one should always consider the nature of the procedure, the need for postoperative immobilization, and the possible complications. Patients may take up to 2 years to recover after surgery and delayed, or incomplete decompression may prolong this morbidity. Alonzo F, Arévalo M, Cahueque M. A rare case of elbow dislocation with medial epicondyle fracture associated to ulnar neuropraxia. J Surg Case Rep 2017;2017:rjx198. Bartels RH, Menovsky T, Van Overbeeke JJ, Verhagen WI. 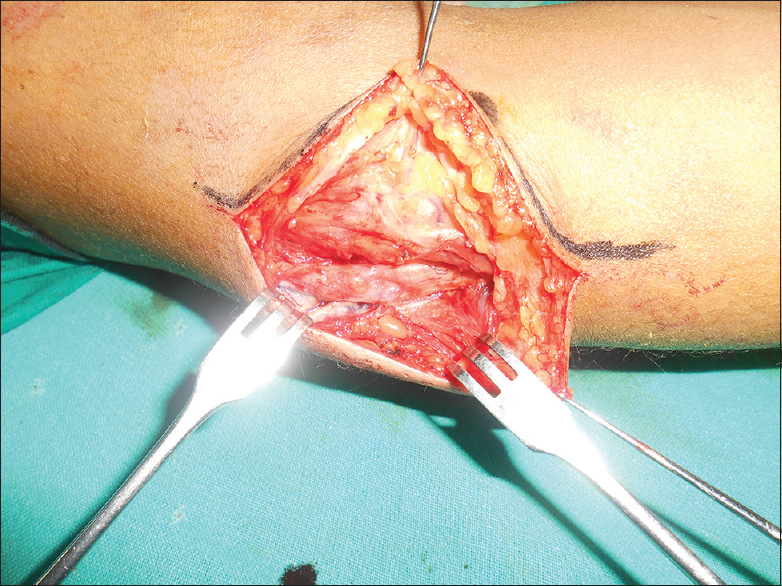 Surgical management of ulnar nerve compression at the elbow: an analysis of the literature. J Neurosurg 1998;89:722-7. 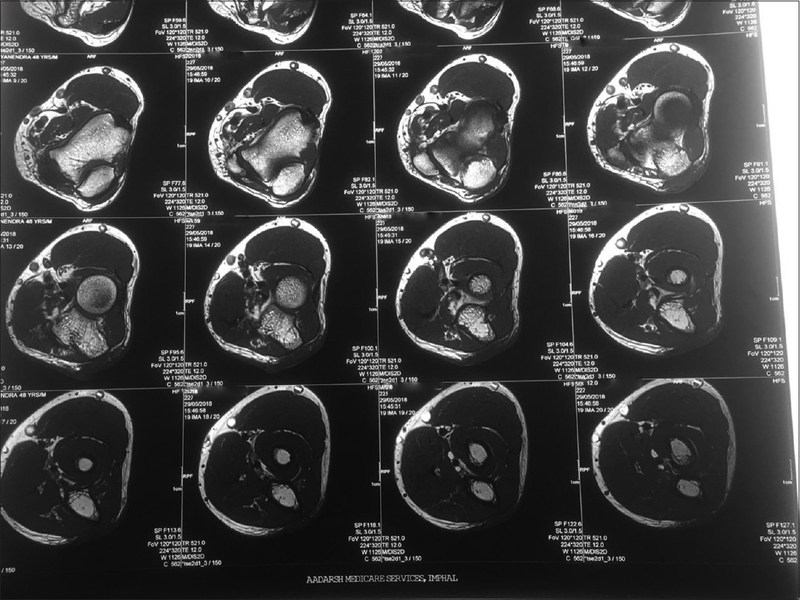 Thiyam R, Lalchandani R. Tardy ulnar nerve palsy after fracture non-union medial epicondyle of humerus – An unusual case. J Clin Orthop Trauma 2015;6:137-9. Ulnar Neuropathies at the Elbow (eg Cubital Tunnel Syndrome). Orthopaedics One Review. In: Orthopaedics One – The Orthopaedic Knowledge Network. ver. 7.; 23 Oct, 2010. 25 Jul, 2012. Available from: https://www.orthopaedicsone.com/x/YAGFAg. [Last retrieved on 2018 Jun 16]. Anakwe RE, Watts AC, McEachan JE. 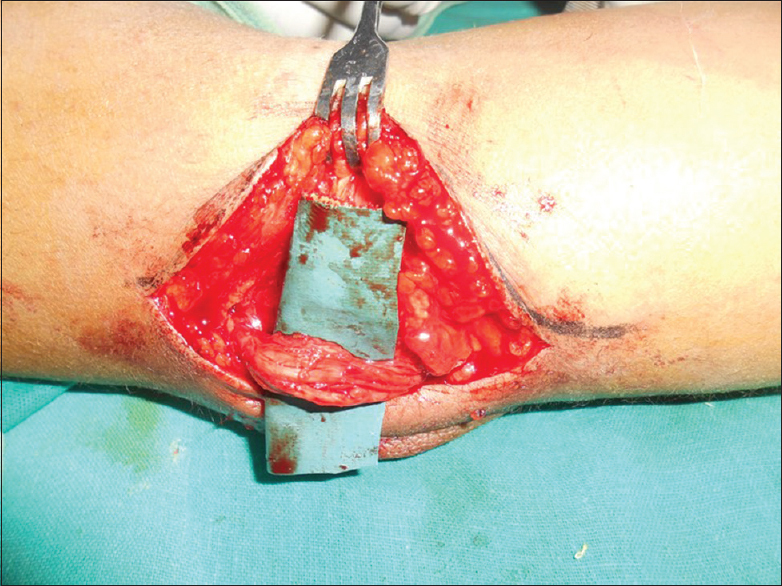 Delayed ulnar nerve palsy after open reduction and internal fixation of medial epicondylar fractures. J Pediatr Orthop B 2010;19:239-41. Adkinson JM, Zhong L, Aliu O, Chung KC. Surgical treatment of cubital tunnel syndrome: Trends and the influence of patient and surgeon characteristics. J Hand Surg Am 2015;40:1824-31.